I refer to the other side’s surveyor and solicitor. The surveyor’s report states that a wall which never existed, must have been load bearing and should have been replaced with an RSJ! The actual load bearing wall, at a 90 degree angle to where he thinks it is/was, still exists, holds up the first floor very efficiently, and would have joined the other load bearing wall (had it ever existed) on one side of the house only; which would have meant that the front bedrooms would have parted company with the back bedrooms and snuggled up, or rather down with the living room long ago. I don’t know what this guy charged them but 50p would have been too much! With me so far? The solicitor keeps sending queries, unsurprisingly many of them relating to other parts of the so-called surveyor’s report, so I suppose there is some excuse. Solicitor is asking for confirmation the roof will be repaired and the stains on the ceiling made good. The roof was already repaired when the supposed surveyor supposedly surveyed and he told J that the repair was satisfactory. The solicitor enquired if the remedial work would be carried out prior to completion, I replied that it was completed. The solicitor enquired if the remedial work would be carried out prior to completion, I replied that it was completed. The solicitor enquired if the remedial work would be carried out prior to completion …… I’m not sure what it is about my spelling of the word completed this solicitor doesn’t understand. To be entirely fair he/she hasn’t been discriminatory to roofs; there have been repeated enquiries about coping stones and bedroom doors too (also completed). See above comment about charges. Still with me? I would like to post a photo of a couple of doughnuts but I’ve never taken one …. 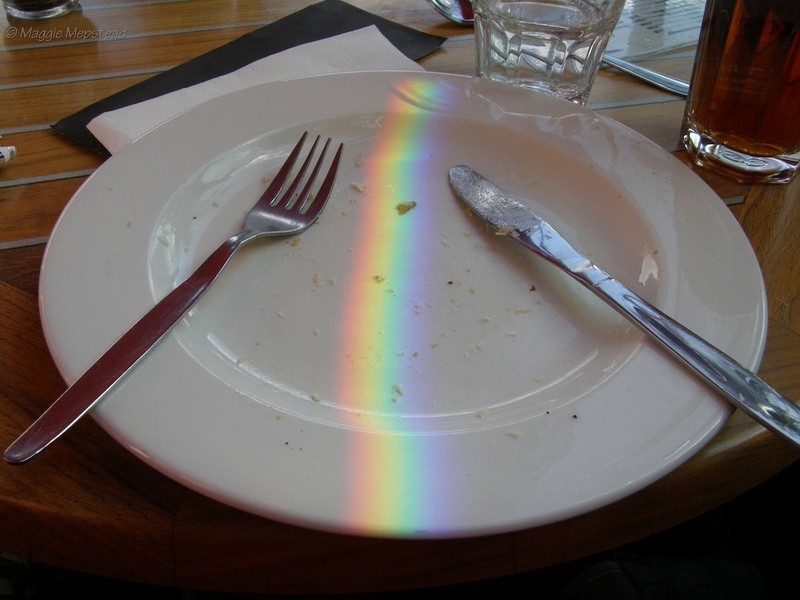 here’s an empty plate instead. This non-load bearing plate has nothing whatsoever to do with walls, roofs or coping stones and I will not be replying to enquiries from anyone’s solicitor. Contract exchange this week – allegedly ….